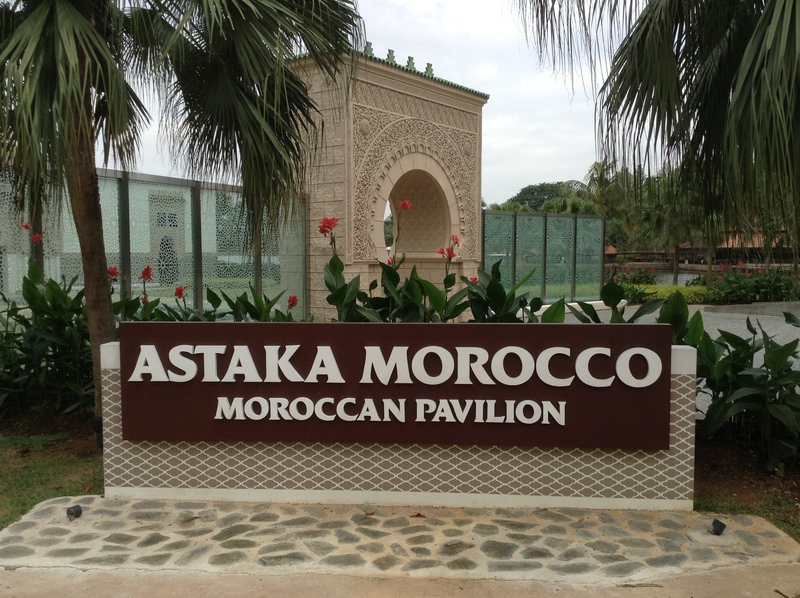 Tucked away in a corner of the Putrajaya Botanical Gardens, surrounded by landscaped gardens and alongside a lake, lies the exquisite Moroccan Pavilion Putrajaya (Astaka Morocco). 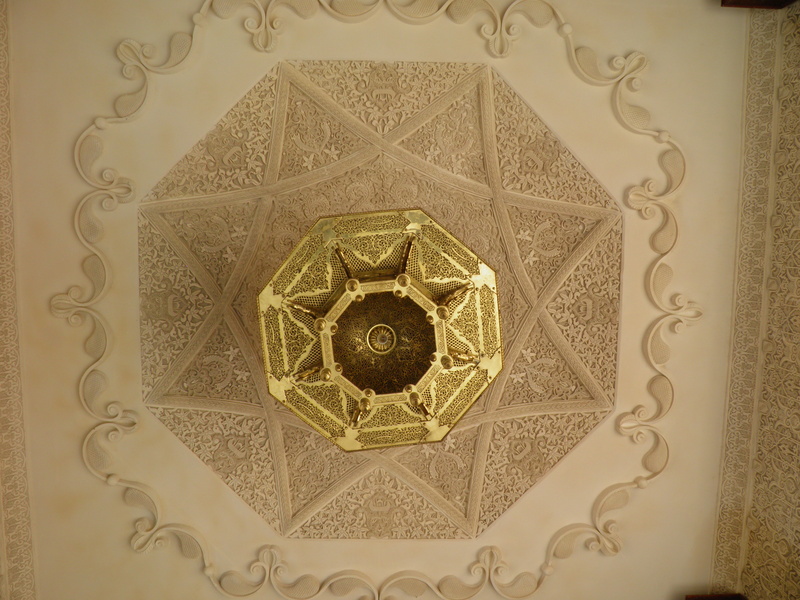 I have admired it from the outside many times but only recently got round to purchasing a ticket to view the interior. 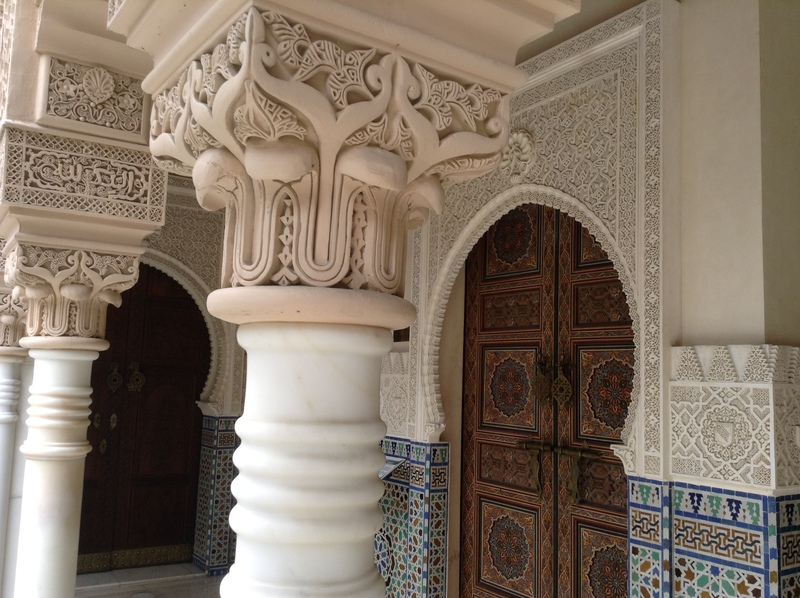 This remarkable construction with a built-up area of 18,000 square feet showcases Moorish architecture of the sort found in places like Cordoba and Granada, Spain. 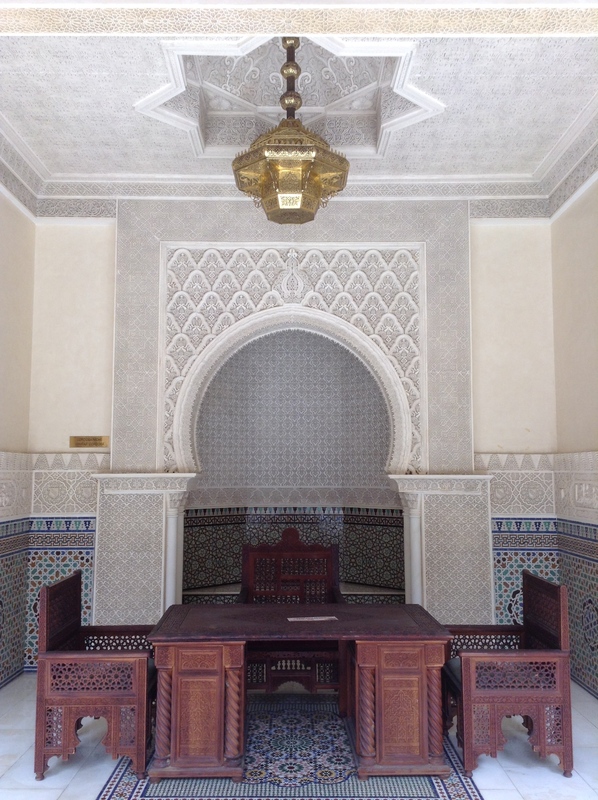 Development of the Moroccan Pavilion was an idea mooted by the Malaysian Government and it was built with Moroccan assistance. It was intended to symbolise the strong diplomatic ties between the two countries. 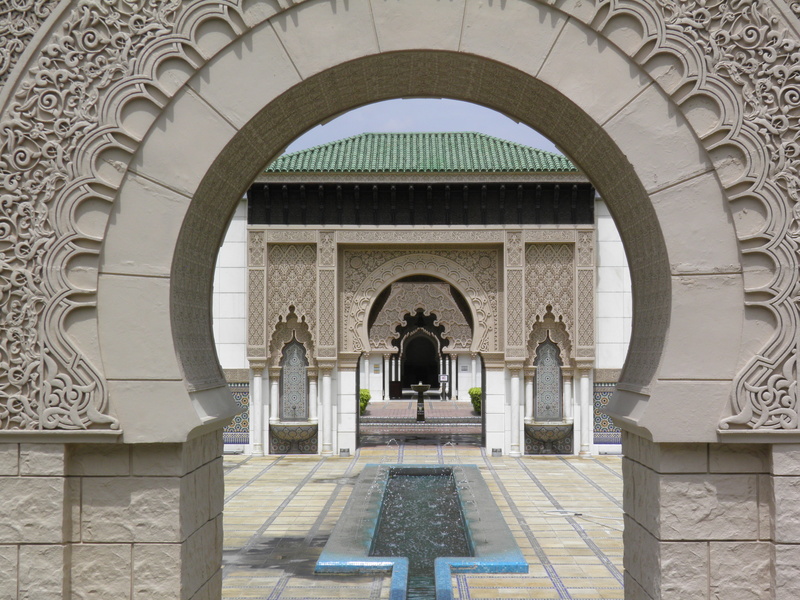 The Moroccan Pavilion is divided into three grand courtyards: the entrance courtyard, King’s Court and Granada Court each protected by ornate gates called City Gate, Palace Gate and Splendour Gate respectively. 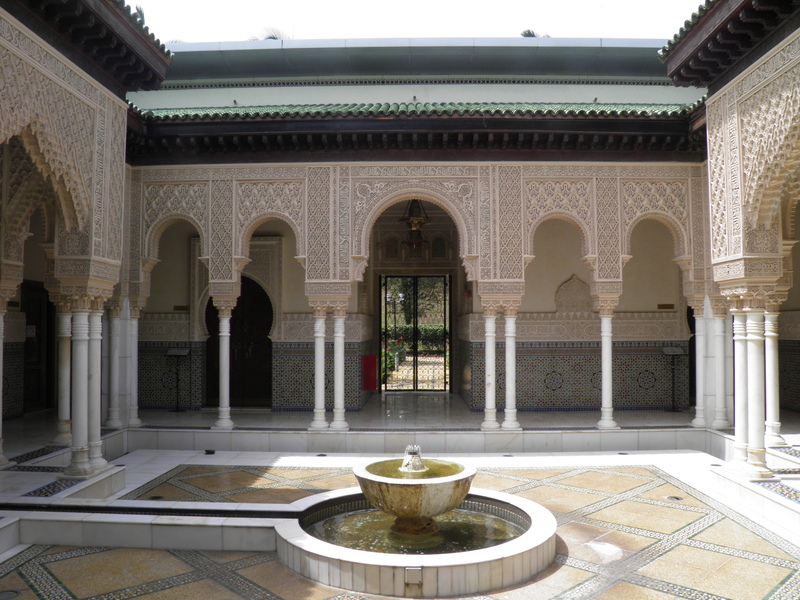 The water fountain situated in the centre of Granada Court was modelled after the Lion’s Court of Alhambra. 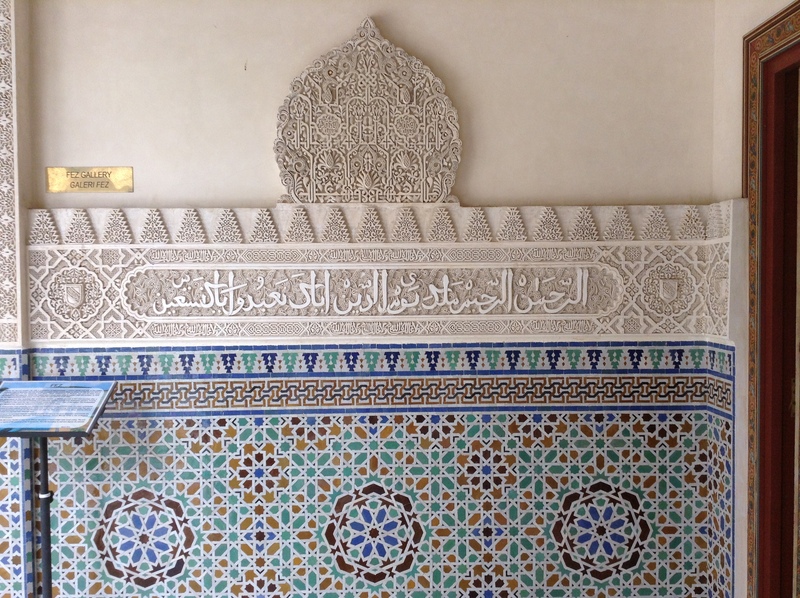 The walls of the courtyard are adorned with calligraphic verses from the Quran. 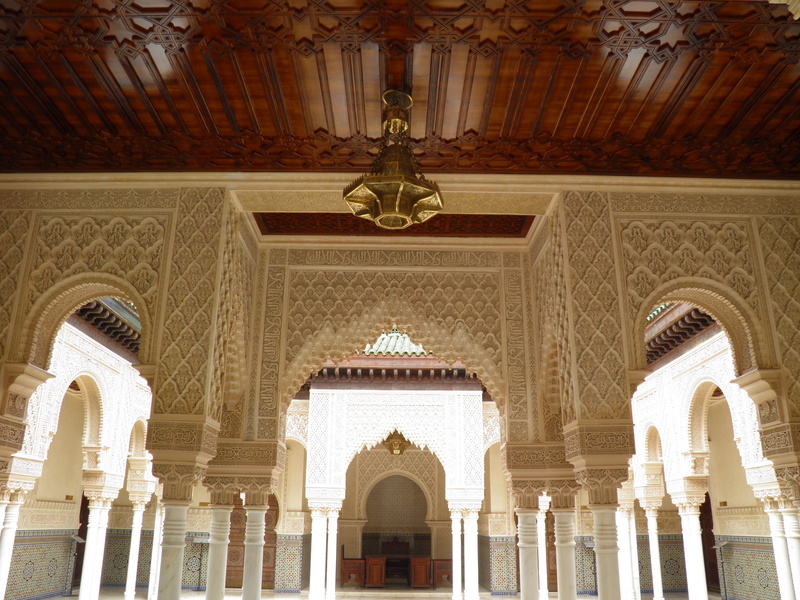 The intricate craftsmanship of the ceilings, pillars and walls was prefabricated in various villages in Morocco and shipped over to Putrajaya. 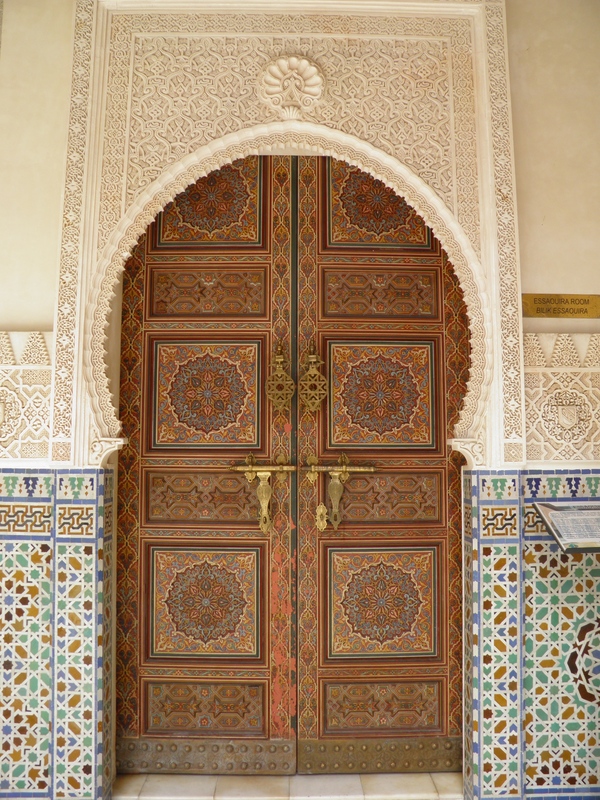 Skilled Moroccan artisans were brought in to assemble the pieces and apply the finishing touches. 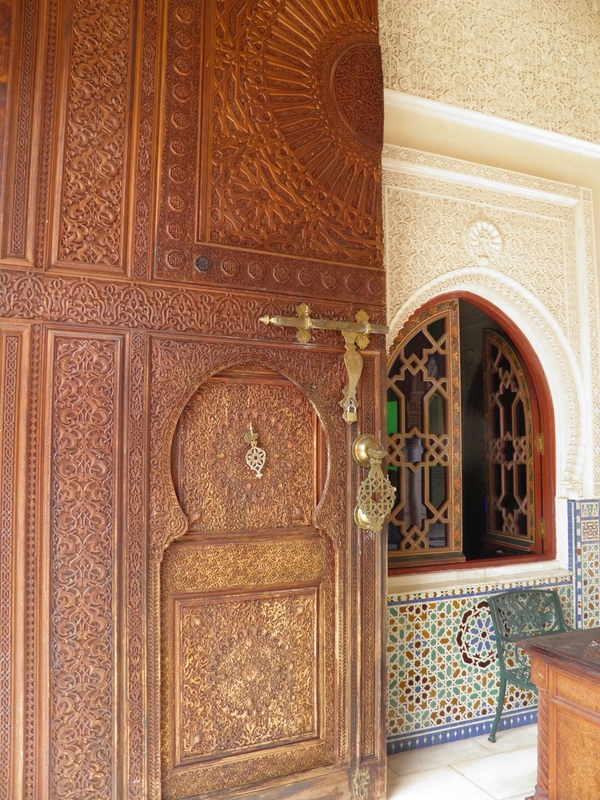 A number of rooms are arranged around the inner courtyards which are decorated in the styles of Moroccan imperial cities, namely the Rabat Gallery, the Fez Gallery, the Essaouira Gallery, the Meknes Gallery, the Marrakesh Gallery and a VIP gallery. 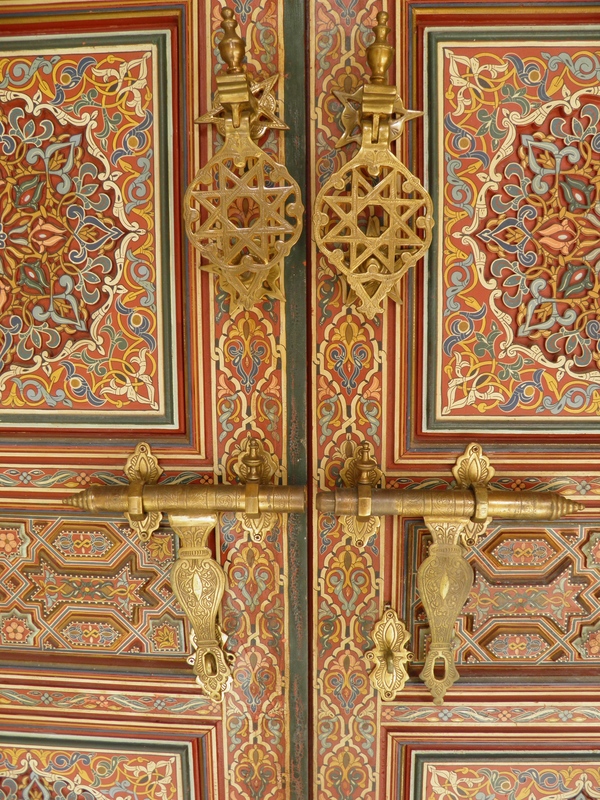 Visitors are free to wander inside these rooms but photography is only allowed in the outer corridors and courtyards. 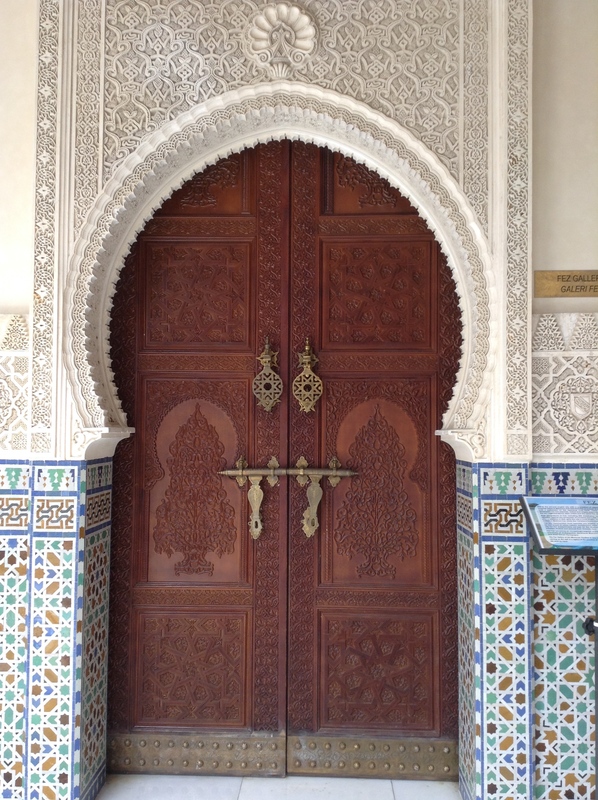 Inside you will fine see examples of Moroccan decorative arts such as zillij terracotta tiles, moucharabieh screens and muqarnas ceilings. 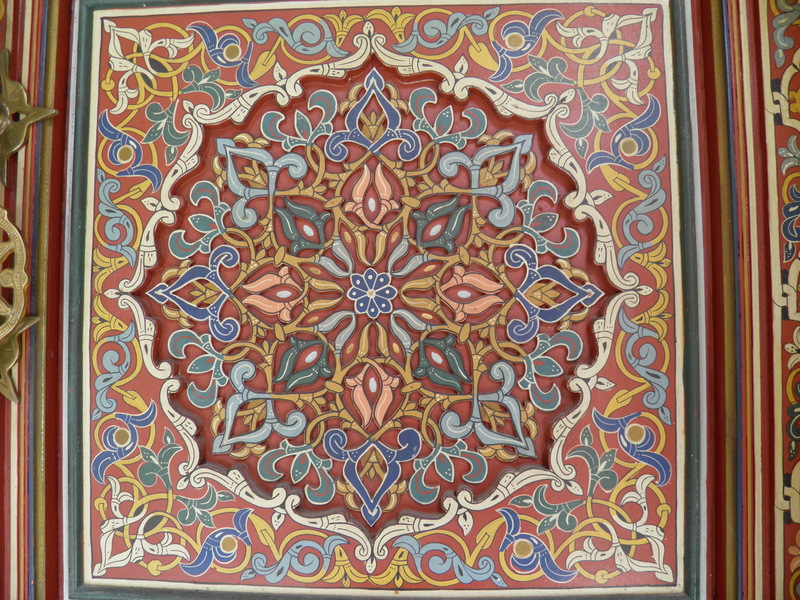 Left to Right: zillij, moucharabieh, muqarnas. 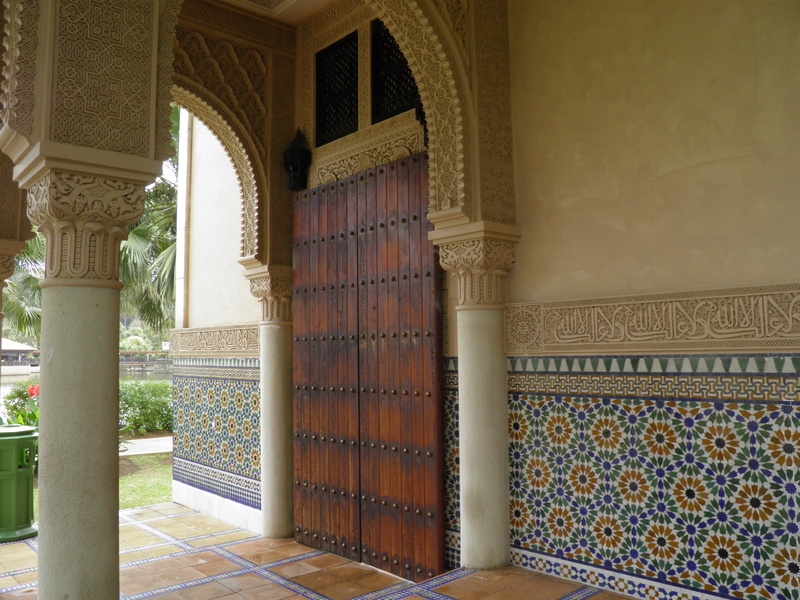 To see inside the galleries and to access the inner courtyards you need to buy a ticket from the Putrajaya Botanical Gardens Visitor Centre which is located about 5 minutes walk from the Moroccan Pavilion. You can find opening hours here. Definitely worth the three Ringgit!